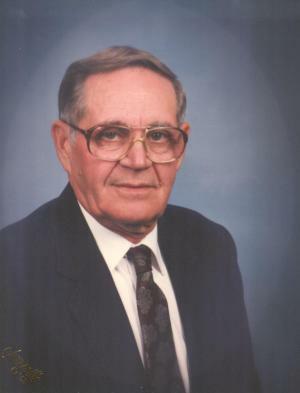 Osco Pharris, age 82, of Leitchfield passed away Monday night at Twin Lakes Regional Medical Center. He was born in Butler County, KY., the son of Esker and Delia Evans Pharris. Osco and his wife Doris were married for 59 years and from this union they were blessed with one son, Mike. They were also blessed with one grandson; Daniel and two grand-daughters; Kristin Pharris Dixon and Chelsea Pharris, all of whom were his pride and joy. Osco is also survived by one sister; Flora Embry snd her husband, Foy. Osco established Phar-Shar Manufacturing Company April 1, 1979, after working for Kane Manufacturing Company for 33 years. He was a veteran of the Korean War. Osco was a faithful member to his church and was a charter member of Leitchfield First Cumberland Presbyterian Church. His hobby was working on his farm and he loved to hunt. He made several hunting trips to various locations. In leiu of flowers donations may be made to the Leitchifeld First Cumberland Presbyterian Church. Visitation: Friends from 3:00 - 8:00 PM (CST) on Wednesday Dec. 22 continuing at :900 AM Thursday until of service at church. Services: Funeral service at 1:00 PM on Thursday at Leitchfield First Cumberland Presbyterian Church with Rev. Rob Harris officiating. Interment: Interment in Leitchfield Memory Gardens.